Street Smoking Ban is strict and Indoor Total Smoking Ban is poor. 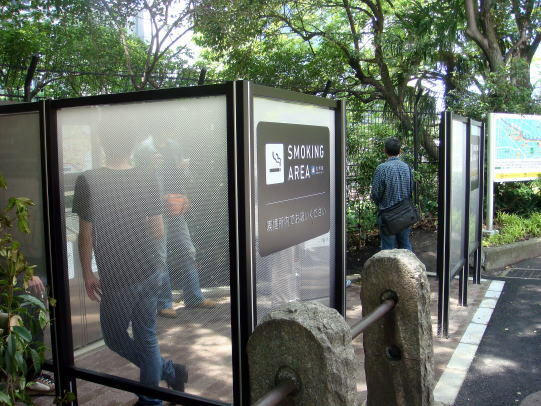 Tokyo enforced smoking ban outside. 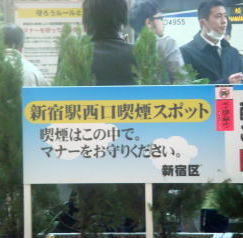 A signboard to inform the outdoor smoking regulation in Chiyoda, Tokyo. Smoking is not allowed on a street, but OK in a restaurant? 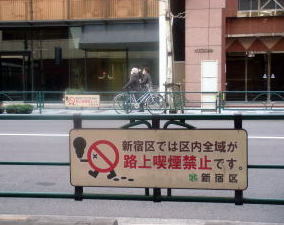 butts and to reduce damage to clothing on busy sidewalks. taxis, there was a judicial support that said total smoking would be preferable to avoid passive smoking. 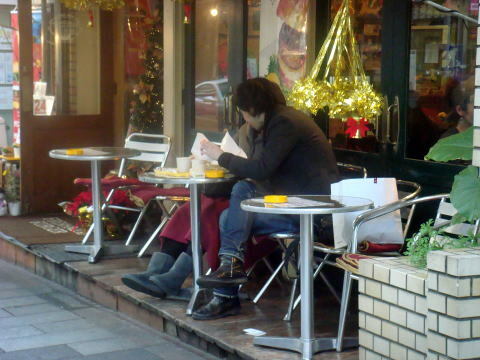 (L) Smokers get inside of a restaurant to put light on cigarette to avoid a penalty in the street. represents that tobacco leaves protect a smoker from the penalty imposed by the ordinance. smoking on a sidewalk of the city. 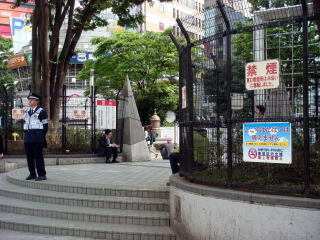 This is a scene in Tokyo was photographed in April 2013. 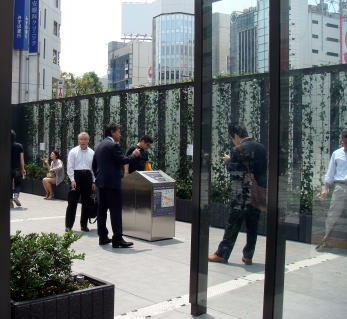 Japan is likely to remain a smoker's paradise. about 83 billion a year. 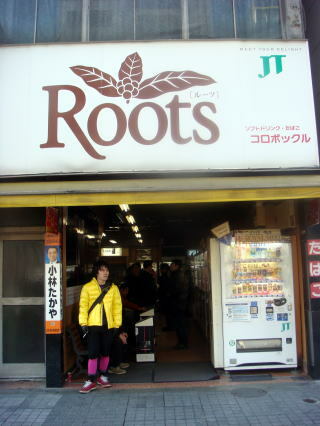 Japanese smokers also pay the near-lowest taxes in the developed world, only ****$1.16 a pack. sparing dresses perhaps, but exposing others to more second-hand smoke than before. Source: James Brooke, The New York Times. The numbers of new data are based on the current study and exchange rates in December 2009. Revised by Junhaku Miyamoto,MD., in December 2009. Full story by James Brooke Tokyo, The New York Times. 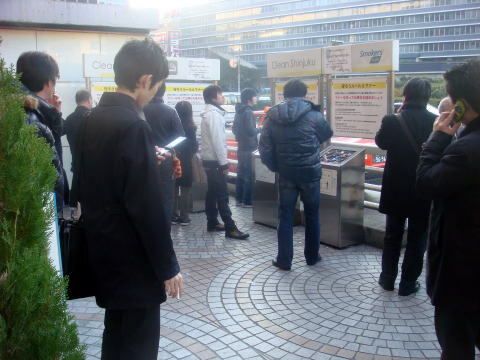 November 28, 2002.
the busiest train station in the world, in December 2009. 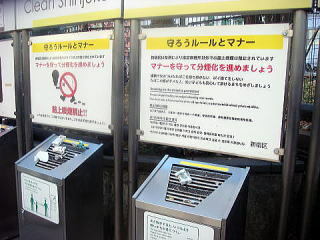 In the designated smoking space near JR Sinjuku station, an information board was placed in front of a stand cigarette disposal. 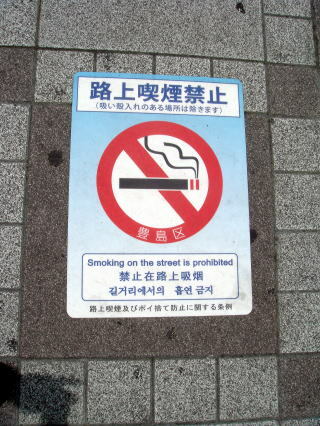 It says that, please cooperate with our separation policy of smokers from nonsmokers, and asked smokers to practice a good manner in streets. 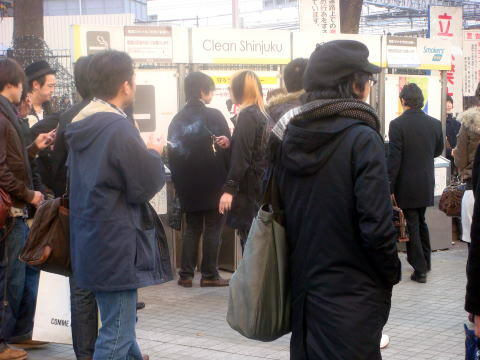 (L)(M) Many smokers put the light on cigarette at the designated smoking place in the East Gate of JR Shinjuku Station, Tkoyo. 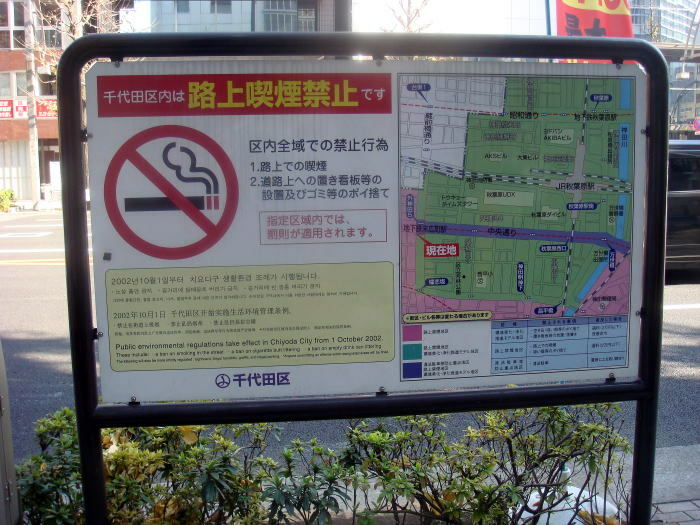 (R) A signboard to inform that the streets of the total area of Shuinjuku City (Ward) is smoke-free. 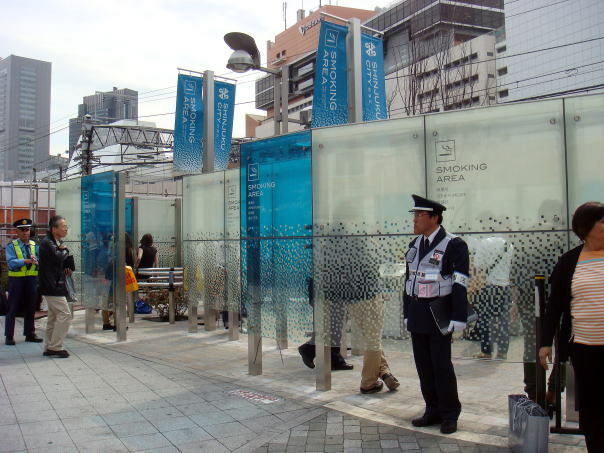 A smoking area in front of Shinjuku JR station was moved towards the one end of a rail track side in April 2013. A man standing in uniform is a tobacco inspector. 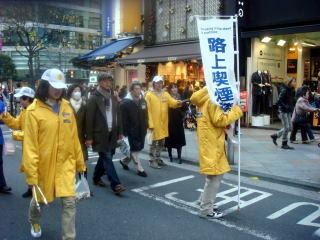 (L) A campaigning parade to stop smoking in a Shinjuku street. 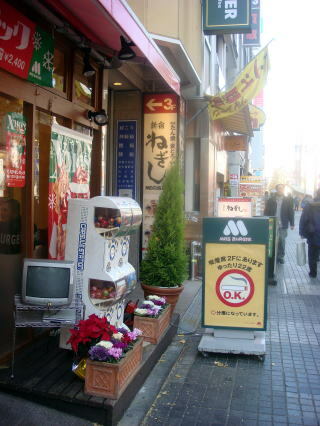 (M) 'No smoking in Street' signboard is placed in front of the Shinjuku station. 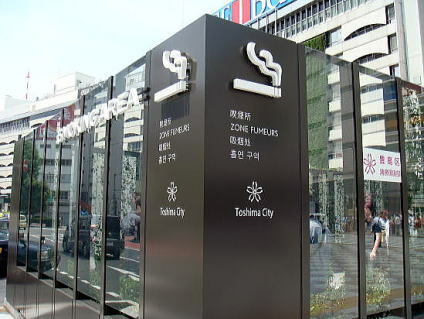 (R) A designated smoking place in front of the West Gate of JR Shinjuku Station, asking smokers to practice a good manner. 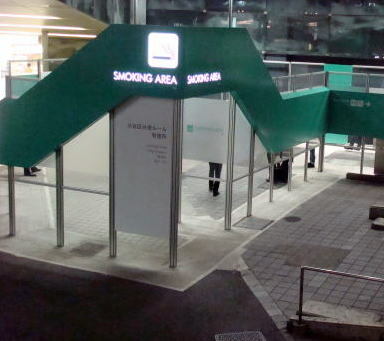 A smoking area in front of Ikebukuro JR station was provided at the central reservation strip in June 2013. 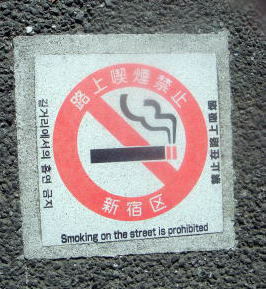 (L) A sign board placed on the pavement of Shinjuku streets, written in English, Korean, Chinese and Japanese. (M) A sign board placed on the pavement in front of JR Ikebukuro station, written in English, Korean, Chinese and Japanese. 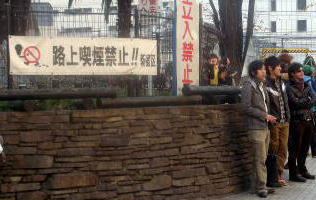 (R) A signboard says ' No smoking here, in the park'. 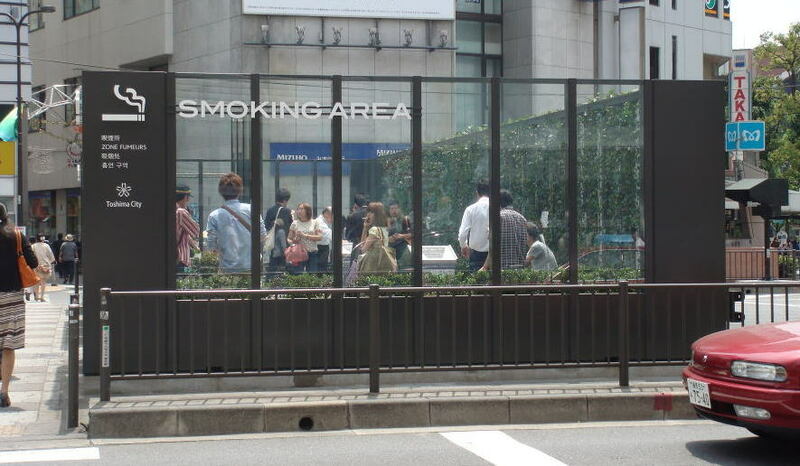 (L) No smoking on a street, but you can freely smoke inside and outside seats of a cafe shop, Shinjuku district, Tokyo. 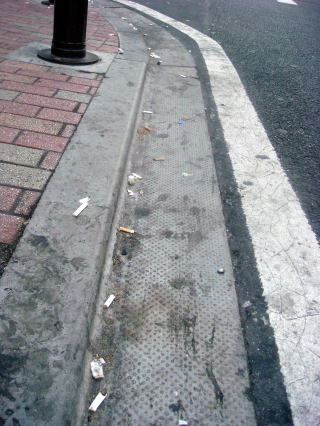 (R) A lot of cigarette butts found in the red-light district, a few blocks from the Shinjuku Station. 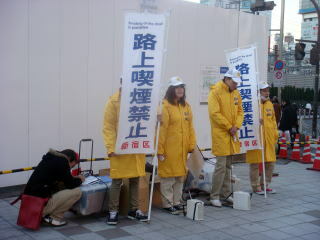 In Shinjuku City, no actual penalty is charged to a violator and an inspector usually do not patrol at this area. 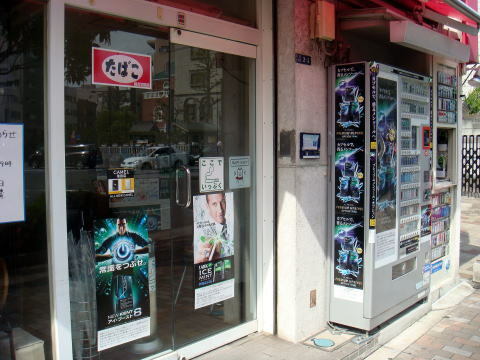 All photographs were taken in December 2009. 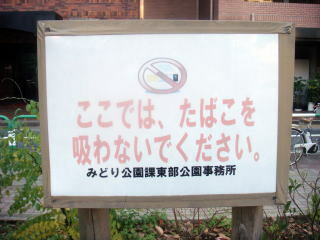 Smoking Regulations in Japan is reverse to the world. in order to foil to prevent clean indoor air policy? 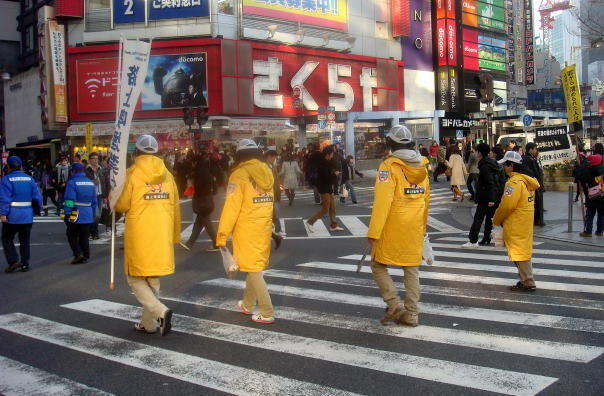 Japan's effort to curb exposure to secondhand smoking is one of the worst in the world. Smoking should be banned in all public spaces.